Since I’ve been working I’ve been finding it really hard to get any quality writing time in, but I’m still here. At the moment each day is different. I’m seeing a lot of other people’s struggles and it can be hard not to be overwhelmed by that, but I’m here and I’m still trying to live by the philosophy of thankfulness for the Small Things. I wish I could see more miracles: people recovering from illness instead of dying, people having babies instead of miscarrying, young people protected instead of abused and murdered, young girls giving their lives to peace not terror, young and old freed from damaging habits and addictions… you get the idea. I really wish I could see more of those good stories instead of pain, pain, pain. And yet, perhaps the Small Things are miracles in their own way. In spite of the darkness and pain, joy still exists and love still empowers. People still work to build others up, to encourage, to comfort. 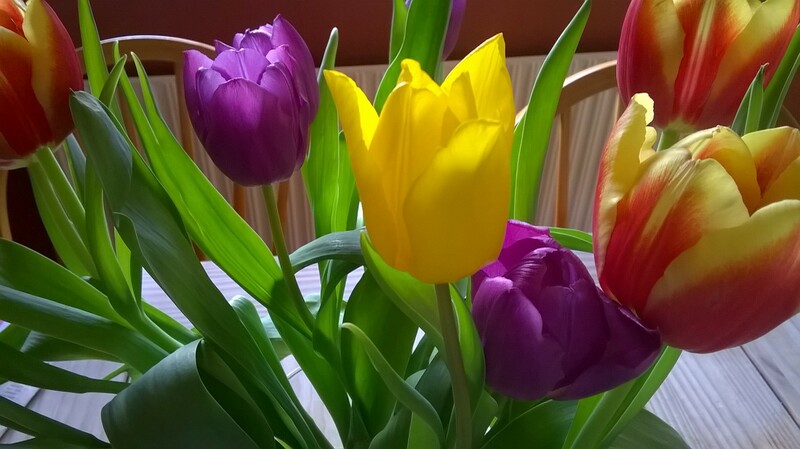 My husband still comes home with flowers: tulips as bright as hope itself. Children still hug and smile and do silly things like wearing glasses on the back of their heads to make a visual joke. My dog still goes crazy for the sand dunes and rests his head on my arm at the end of the day. Coffee still brews, friends still congregate, the sun still rises. My posts so often return to this same theme: this aching for the hurting world and this brimming over of the world’s goodness – a miraculous paradox. I guess it’s because life to the full is not life without pain but more experiencing goodness that transcends the pain. A clothes swap I went to on Tuesday. Everyone took one or two items and then we could all go around, choose things we liked and leave a donation for charity. I found a lovely Monsoon jacket which has been perfect for work and has made a nice change from my heavy winter coat. 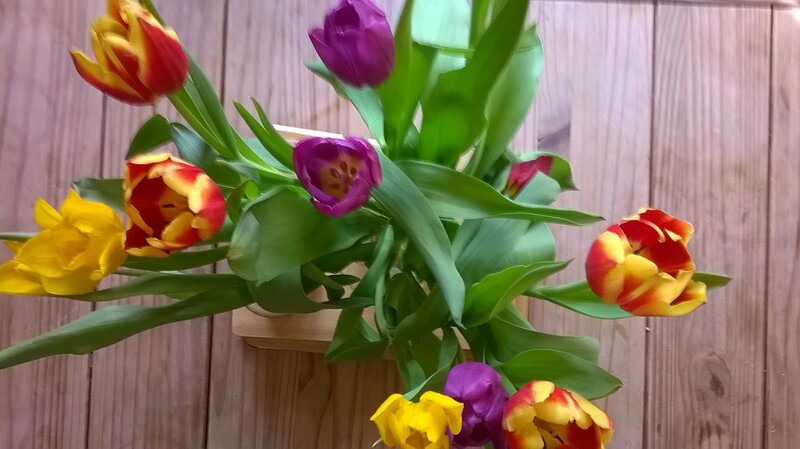 Sunshine, flowers, birds: Spring is on its way and I need it so much! Getting to the beach in the sunshine, standing on the cliffs watching the waves, and looking at all the pebbles. What’s been keeping you going this week? Previous Post Happy World Book Day! 5 Children’s Books that will Profoundly Impact Adults too and a FREE GIVEAWAY!